When it comes to non-surgical cosmetic procedures for the face, fillers and injectables top the list. While fillers and Botox are most commonly associated with women, men can also benefit. In fact, men can gain dramatic improvements from these non-invasive, no downtime facial injections. From correcting the signs of aging to defining the masculine features of the face, here’s what men can expect from dermal fillers and Botox. Like women, men can experience unwanted signs of aging and sagging skin throughout the face. Under eye bags, hollowness in the midface and sagging jowls can make men look more tied and older than they really are. Facial fillers can address these issues and help men gain a more rested and youthful appearance. In many cases, men can have more substantial evidence of facial aging which makes the results of dermal fillers even more dramatic. Botox and other neuromodulators can also be used to erase forward wrinkles and furrow lines that often plague aging males. Male patients can especially benefit from the ability of dermal fillers to define certain facial features. In the hands of a skilled plastic surgeon, fillers can be used to alter the shape of the nose, define the cheekbone and provide more attractive definition within the chin and jawline. These improvements can offer remarkable enhancement to the male face, helping them regain a competitive edge in the workplace and feel better about themselves. It is critical to choose a plastic surgeon who understands the unique male facial anatomy and can successfully work with the thicker skin of men. Your provider must also know how to make facial improvements or corrections without sacrificing masculinity. 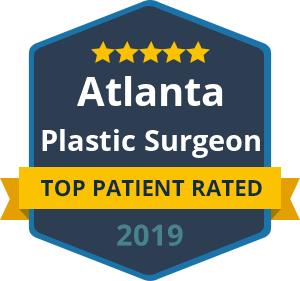 A skilled facial plastic surgeon such as Dr. Talei can provide a handsome and chiseled look for men using dermal fillers and Botox as well as other non-surgical procedures. Just because you are a man, doesn’t mean you can’t benefit from the same proven treatments that help women feel younger and more attractive. We know it may not be a topic at your next poker game or tailgating party – but we invite you to discover the benefits of cosmetic procedures for men at our Beverly Hills office. « Am I Too Old for Otoplasty?